Running barefoot has become a recognized way of running. It allows you to experience how our ancestors used to run, walk and even sprint when the concept of the shoe was not there. Many centuries later, shoes have become an important part of clothing around the world as it protects us from dangerous surfaces, sharp objects and prevents us from immobilizing our feet. But wouldn’t it be great if we could experience running barefoot but without the use of socks? It will make the running experience more lifelike… if that makes sense? Imagine all the benefits!! If you are looking to run barefoot in running shoes without socks, that are comfortable, protect your sole and efficient in helping you run… please continue to read this post. I will be reviewing 6 of the best running shoes that I believe to be the most comfortable and effective when running without socks. These distinct shoes look like you wear them in a scuba diving competition, but these running shoes are designed to get the job done. They mimic the shape of a foot, giving it a unique look over other running shoes. The sole of the shoe is less than 5mm making it feel like how your feet would impact the ground but enough it has enough protection to stop you from cutting or injuring your sole. These running shoes also make great gym shoes as you can better control your form when doing exercises like deadlifts and squats due to the more coverage your foot uses across the ground. The Topo running shoes are a nice all rounded running shoes as it perfectly designed to run in all weather conditions yearly. They a have a simple but great design making it fashionable. They have a ‘sock’ like feel making it a perfect shoe for non-sock runners. The shoe itself is lightweight and versatile as it allows you to spread your toes out when striding. They are primarily good to use for speed runs, tempo runs, and fitness training. Not often do you hear about this brand, but they provide you with a solution when it comes to barefoot running. These cool looking, modern looking shoes do contain a lot of characteristics when it comes to barefoot running. They boast an Omni-fit lacing system where you can correctly adjust the laces to make it tight and secure when you’re out running. The Saucony’s have a FlexFilm material in the upper mesh of the shoe giving you a more flexible feel when running with its fewer layers of material. They are not designed to be too comfy, as it designed to push performance when running. They are especially good for neutral pronators as well. Merrell is a recognized brand when it comes to running barefoot in shoes. Their cool and slick design makes them a fashion right as well as a running tool. They have designed the shoe out of comfortable materials, included a wide toe box and they allow your foot to breathe with airwys and air flow technologies. This particular model of shoe only has the 1 design of the grey and black, but they are stylish no matter what! The Mizuno’s have a great looking design which in turn should reflect it’s performance and they do! Their G3 sole has a soft grip which grips the ground nicely but retaining the comfort when landing. What I also like about the Mizuno’s is that it has a nice thin breathable lining giving it a ‘next to skin’ feel. They are a little higher priced compared to most other running shoes. Running is a way of life and has been for the human race ever since we emerged from the caves. We need to run barefoot in order to get food, transport goods and escape from danger. Why is it that we are trying to achieve what we did 1000s of years ago when we have running shoes that protect us from injuries? It’s because we want to enjoy the freedom of running barefoot with all of its amazing benefits! Running barefoot can help you achieve great results and better running techniques. They will help you form a better running technique if your current method of running is poor or of a low standard. But why do we have shoes in the first place? They are designed to withstand pain on unsuitable surfaces like mountainous and rocky trail paths. Let’s delve deeper into why it may bad to run barefoot then why it is good to run barefoot. When it comes to the harsh world, you may have already predicted the common things that will occur. You will inevitably walk onto a stone or land on something sharp. Running with the risk of injuring your foot could cause you to not run and stop all physical activities, not giving you the opportunity to run anymore. Researchers have been studying the causes and effects of running. When you run with trainers, you typically run and land on your heel first. Ater years of doing so, this could cause you damage and cause you to damage your shins, Achilles etc. But running minimalist is good for improving your technique and reducing less stress on your foot. You will land more on your forefoot and midfoot more rather than the heel of your foot first. The reduction in impact will serve you many benefits in the long run. Should you wear socks when running? Wearing socks when running is very common and has been a default piece of clothing you wear. Although we don’t often think about ‘putting them on’ we have all made a habit of doing it unconsciously. The benefits are quite straightforward. Wearing socks when running fills more of the shoe space giving you a bit more grip on your foot. They keep absorb the nasty sweat… making the sole of your shoe still dry… and prevents a pretty awful smell after you take off your shoes. And they help stop rubbing of your foot against the inside of the shoe. If you have cuts, bruises or scars you may want to wear socks to cover them up and protect them from the movement of the shoe moving across your shoe. You don’t have to wear socks either. When there are minimalist running shoes, finger running shoes you have no need to wear any socks. The only benefit of wearing no socks is you allow your foot to breathe better than any other typical running shoe. But in general, this is your decision. The majority of the time, you will be wearing socks most of the time during your day and it’s easy to switch from your work shoes to your running shoes! 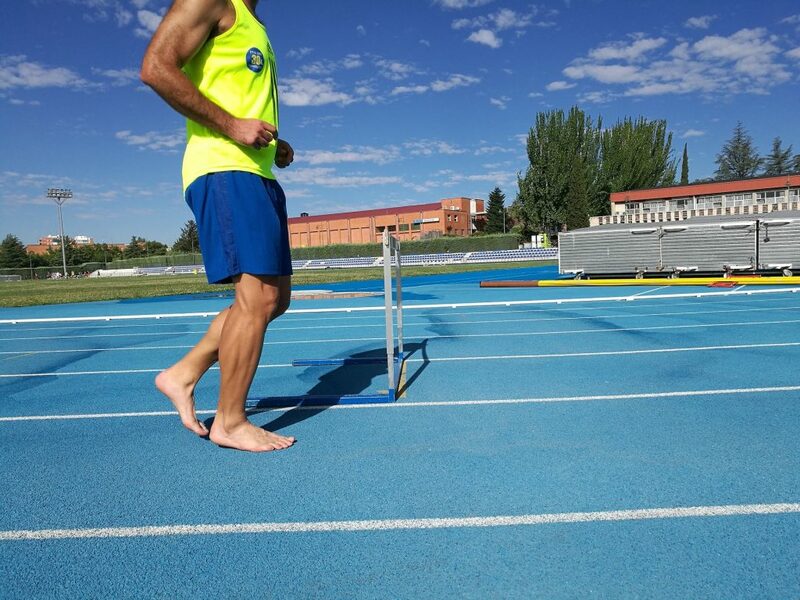 7 Is barefoot running good or bad for you? 8 Should you wear socks when running?